Sony has focused their energy on the development of mobile devices. They started at MWC by unveiling the Xperia Z4 tablet. Sony boasts of the 10-inch display with Quad HD resolution, calling it the “world’s brightest 2K display”. Apart from the monster display, the tablet’s thickness (or thinness, rather) is also being brought into the spotlight. The tablet clocks in at a mere 6.1mm of thickness, while weighing less than 393g. The Z4 will be running on a Qualcomm Snapdragon 810 chipset with a 64-bit architecture. The Z4 is packed with 3GB of RAM storage and a total of 32GB internal storage for the current version. It has been rumored that Sony will be releasing a higher end version of the device with greater storage space. Although, it is doubtful that they will release such a version since the tablet already has provision for expandable memory, capable of up to 128GB microSD cards. The tablet will feature an 8MP primary camera with 8x optical zoom, while the front facing camera is equipped with a 5MP sensor. The Z4 is also equipped with Remote Play functionality. This used to be exclusively available to gamers with PS Vita, enabling them to stream PS4 games onto their Vita devices via a wireless connection. 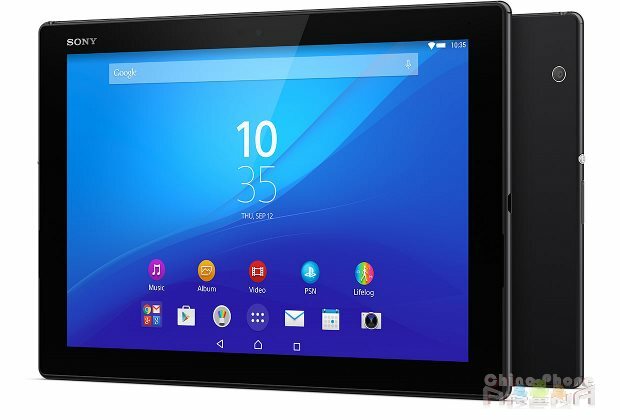 Sony has now brought this feature to their 2K display tablet. An impressive 6000mAH battery has been squeezed into the tablet’s 6.1mm thick body and it will be responsible for powering the Z4. Other additional features include an optional keyboard dock which should appeal to consumers who will use the device for work purposes. A Microsoft Office Suite will also be available on the tablet. The Xperia Z4 will be able to fully utilize the 64-bit chipset as it will have an Android v5.0 OS installed. Sony will be offering the device in 4G and WiFi-only versions.